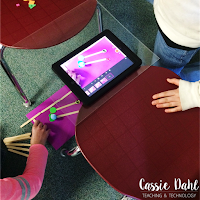 Have you tried Stop Motion Animation with your students? My students are OBSESSED. 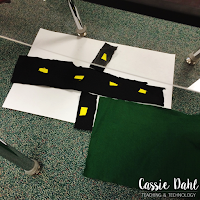 I love how engaged they are and the creativity that they have totally surpasses my expectations! 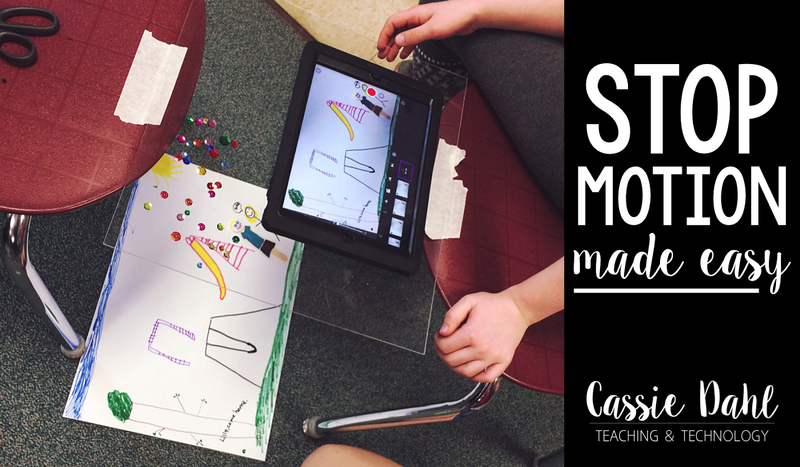 Keep on reading to find out how I use Stop Motion in my classroom and why I think it is a great outlet for students. 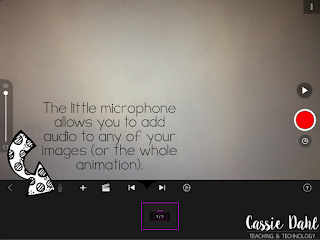 To start, you will need the free app, Stop Motion Studio. It is available for both Apple and Android devices. 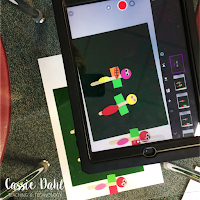 I have found it best for students to work in small groups or with a partner to make their animations. 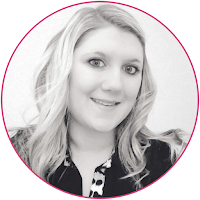 If you choose to have them work in a group, you will only need the app on one of the devices per group. When you open the app, you will see a "welcome" animation for you to watch. 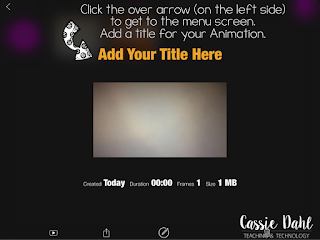 Click the purple plus sign to create a new animation. 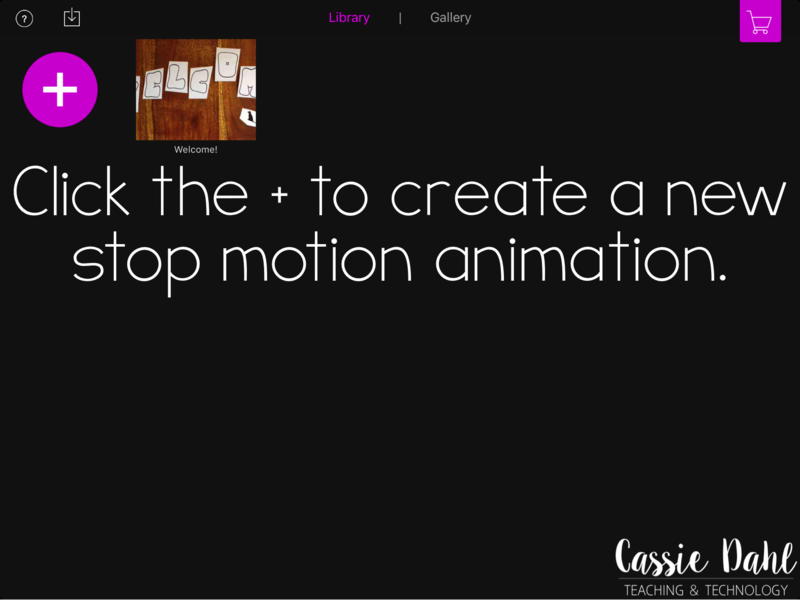 This home screen is also where you will be able to access all of your stop motion animations as you make them. 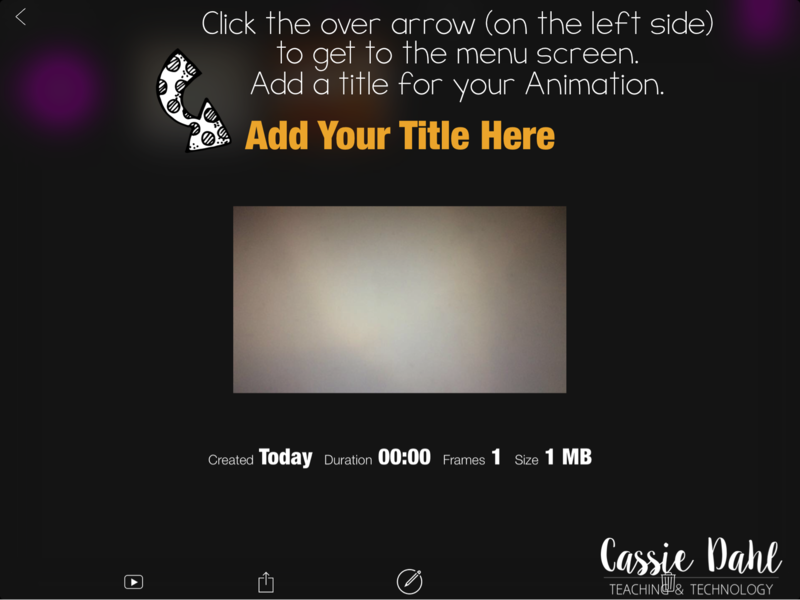 After you click to create a new animation, your screen will change to this. 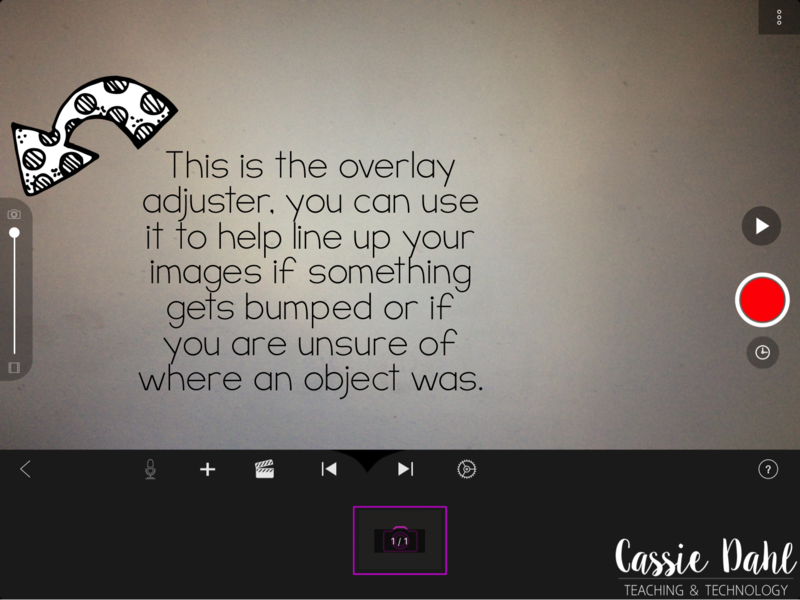 Your camera should automatically start showing whatever you have it pointed at (for this tutorial, I had my camera looking at a gray screen). 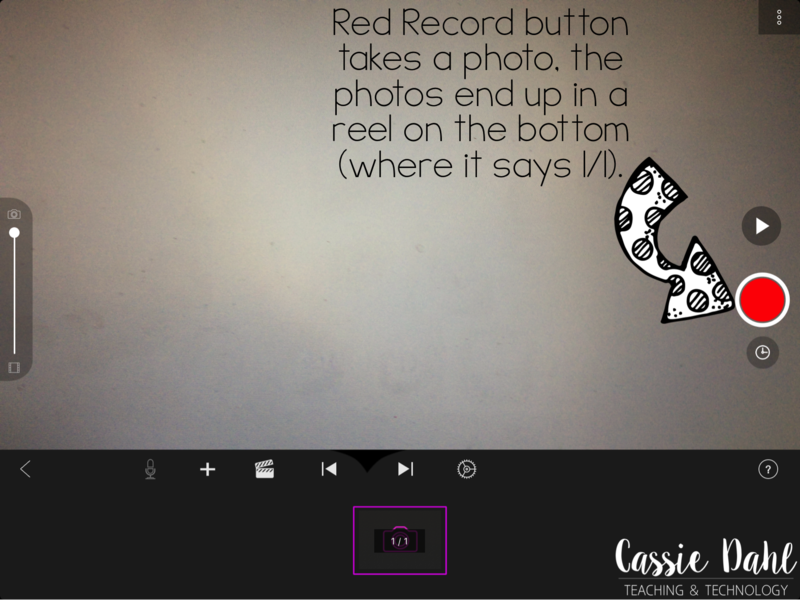 The red record button is what will take your individual photos, which are automatically put into your animation in the order that you capture them. 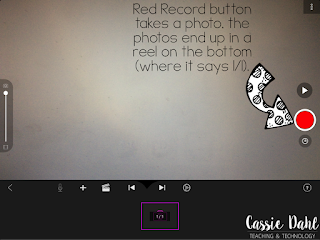 The photos that you take will show up at the bottom in a photo reel. The number will change to show how many images you have. The more (with small movement of the objects on your screen) the better! I have my students aim to take anywhere between 100-200 frames. 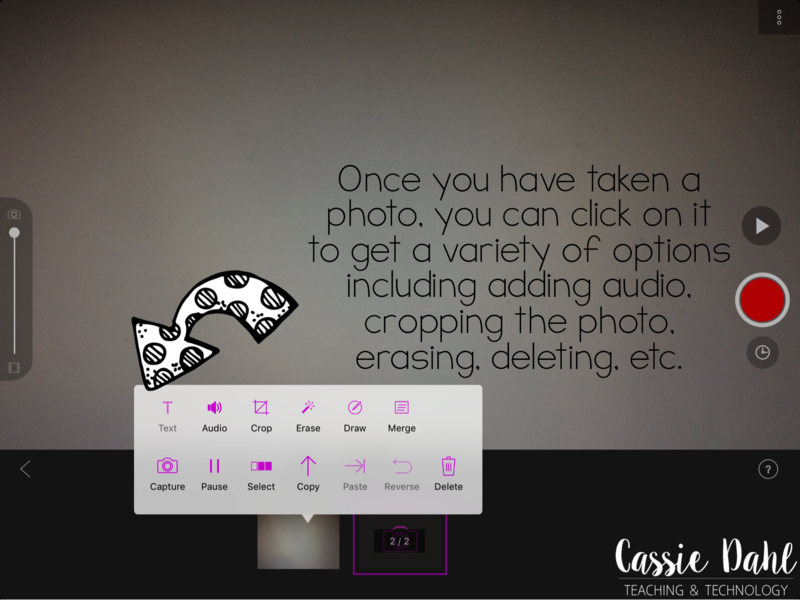 Once you have captured a frame, you can click at the bottom to see a variety of additional options including adding audio to that image, using the magic erase tool, cropping it or deleting it. There is a handy little clock underneath the red shutter button. 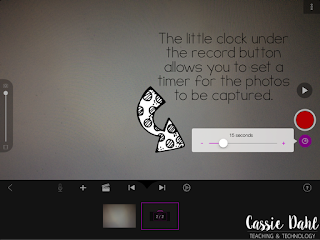 This is a built in timer for your frame captures. If students want, they can set the timer so they won't have to keep pressing the red button after every move of their objects. Have them try a few settings and see what works best so they are not wasting time in-between frames while waiting for it to take the shot. 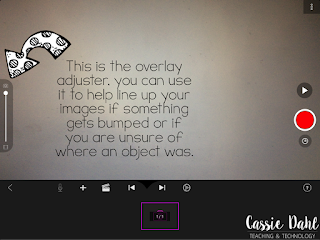 On the left side, you will see an overlay adjuster. This allows you to "pull back" the image that you just captured on the frame prior as you start to adjust the new frame. 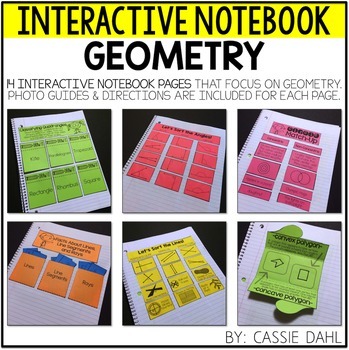 This is especially handy if students accidentally move something too far or forget where it was to begin with. 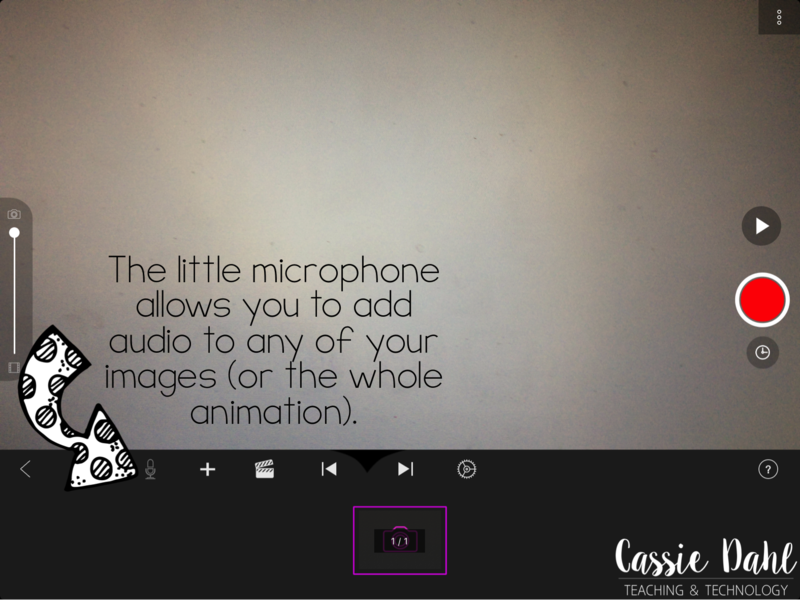 After images have been captured, your students can use the microphone to add audio to their animation! So much fun! When they do this the first time, it will prompt them to allow access to the microphone. If they don't hit accept, you will need to go to their settings, find the app along the left panel and adjust it to allow the microphone. So what exactly are my students doing? 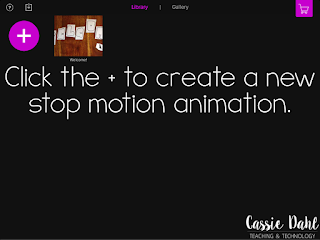 Stop motion (also called stop action) is a animation technique that allows you to make any object appear like it is moving on its own. The object is moved or manipulated in small increments and captured individually in photographed frames. When the frames are played in a continuous sequence, it gives the allusion of movement. 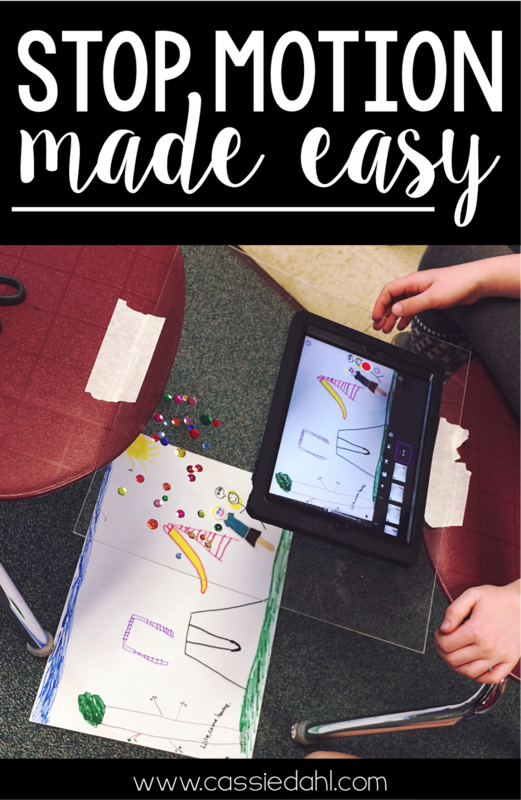 Your students will create a short animation using anything from paper and art supplies to modeling clay to prove/show their learning. I have had students create stop motions explaining a main detail in a text, telling the narrative that they wrote or illustrating their poems. 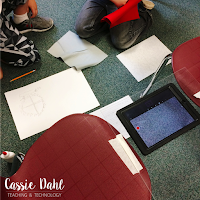 We are working on an Earth Day advertisement to protect our planet right now! 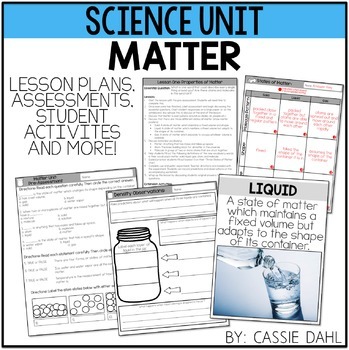 Other than the app, you do not need a whole bunch of materials. You can use any art materials you have on hand or simply paper and markers! 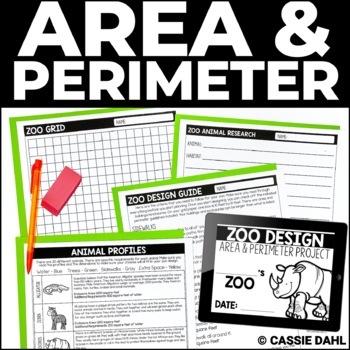 Students will need to draw their setting for the background or make it using felt or similar materials. 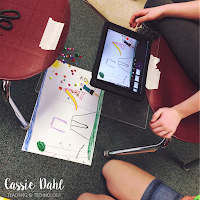 You might want to invest in some plexiglass to make filming easier for your students. I purchased large sheets for just over $10 each and cut them using a utility knife in quarters. My students place this piece of plexiglass between two chairs and film facing down. This allows the materials to lie flat on the ground instead of trying to prop them up to take the frames. There might be a good use for propping them up (think about a fun city scene made of boxes in the background and characters made of clay in the front... that could be awesome!). 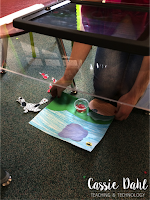 If you don't have plexiglass, put all of your trust into your students and have them carefully balance the device off of the side of their table or their desk. So just the camera is hanging off and the edge of the table isn't showing. They can zoom on their screen using a "pinch" zoom if they need to get closer to their setting. 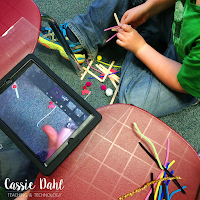 My student use any materials including paper, popsicle sticks, pipe-cleaners (chenille stems), sequences/beads, clay, things lying around the classroom, etc. Basically whatever they can get their hands on. Here are a few photos of my students "in action". It is so easy to save these stop-motion animations! On the bottom of your screen there is a little "back" arrow. Click it. :) Trust me... you will not lose all your work! Once you have clicked the arrow, add a title by clicking on the yellow text at the top of the screen. 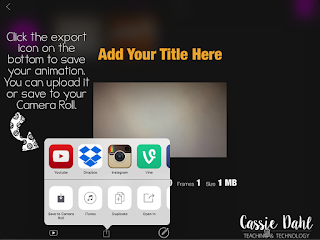 Then you can click the export button the bottom of the screen. A new menu pops up with tons of options for how you can save the animation. 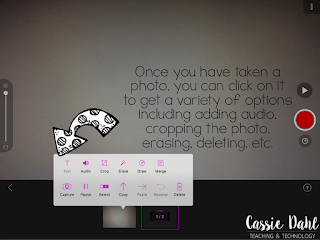 I have my students save to their camera roll and then we upload them to Seesaw so all of our friends can see them! Here are some example Stop Motions! These were the first ones we made, so give my kids #madprops for their creativity! 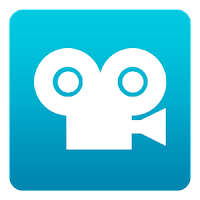 *Make sure students are filming the correct direction, i.e. they need to have the bellybutton on the right side (where the red shutter button is). *Teach them to avoid having chair legs in their images. It is so not cool. *The smaller the movements the better. 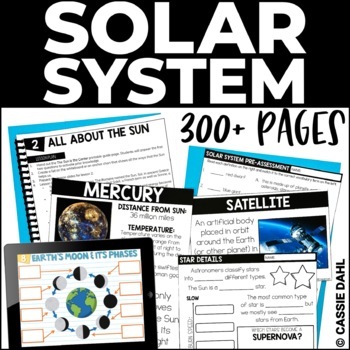 Literally microscopic changes... well with kids hands - not quite possible... but have them only move their things a tiny bit at a time. *They can move more than one element in each frame if they want. 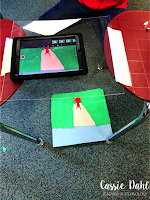 *Search Youtube for Stop Motion Shorts.. show them to your kiddos- it will make your job of explaining so much easier. So what do you think? 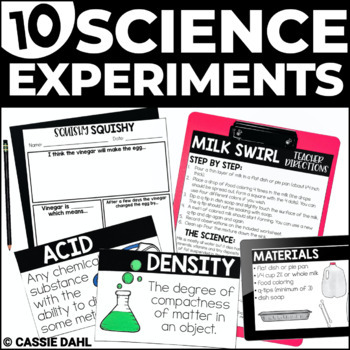 Is this something you are going to try out in your classroom? How can you see using this in the future? Pin the image below to save the post and share it with your friends!